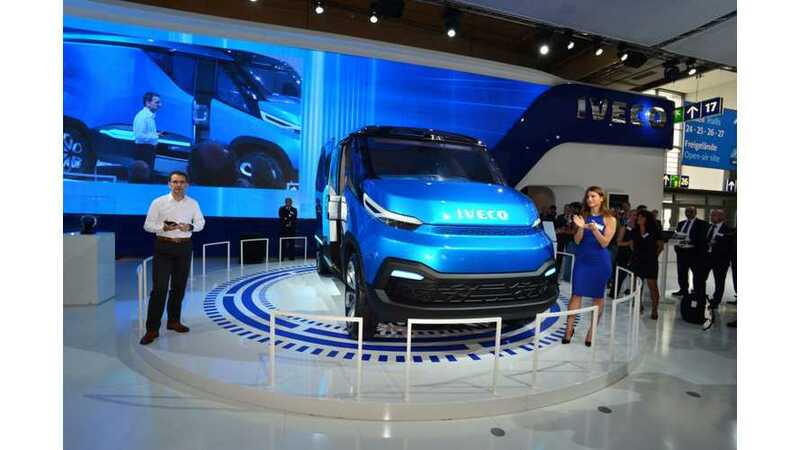 Iveco presented at the 65th IAA Commercial Vehicles in Hannover, Germany a new plug-in hybrid electric delivery vehicle - the Vision. 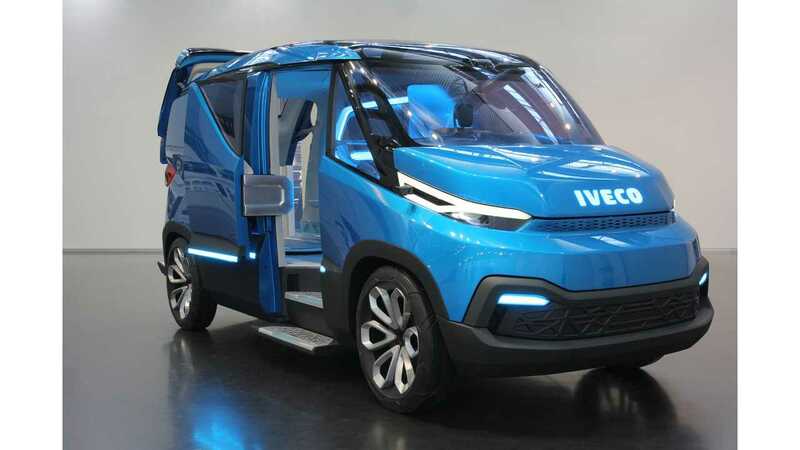 We don't know if the Italian company has the vision (pun +1) to bring this into production, but it's good to see that they are thinking about electrification. 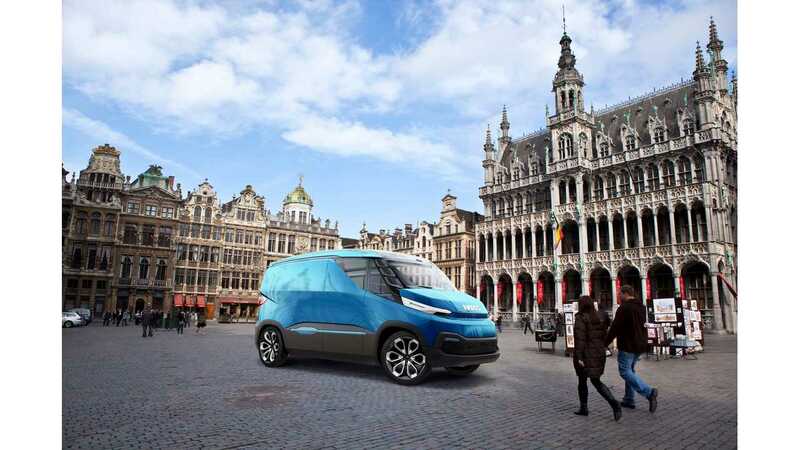 "Iveco Vision, a concept centred on low environmental impact mobility, is embodied in a commercial vehicle featuring a range of innovative solutions. 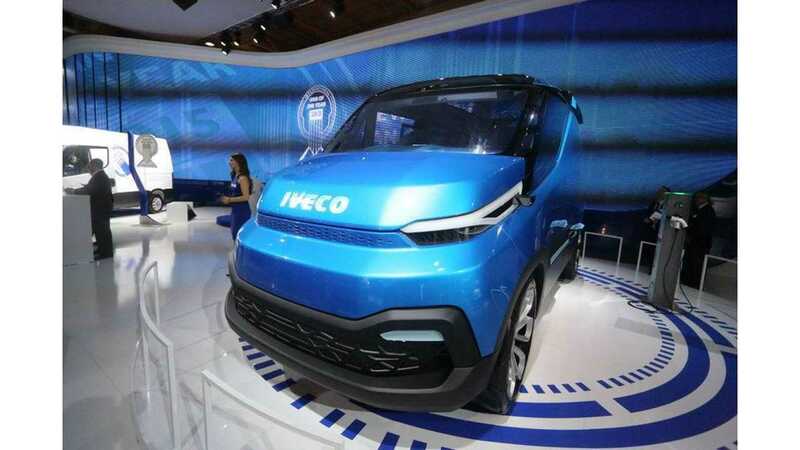 The concept emerged in the wake of Iveco’s Dual Energy technology, the chassis unveiled at the 2012 edition of the Hanover trade show, bringing together potential technologies for use in the light commercial vehicle of the future." The Dual Energy system seems to be some kind of plug-in hybrid setup, but for now details weren't revealed. For sure it can drive in all-electric mode. 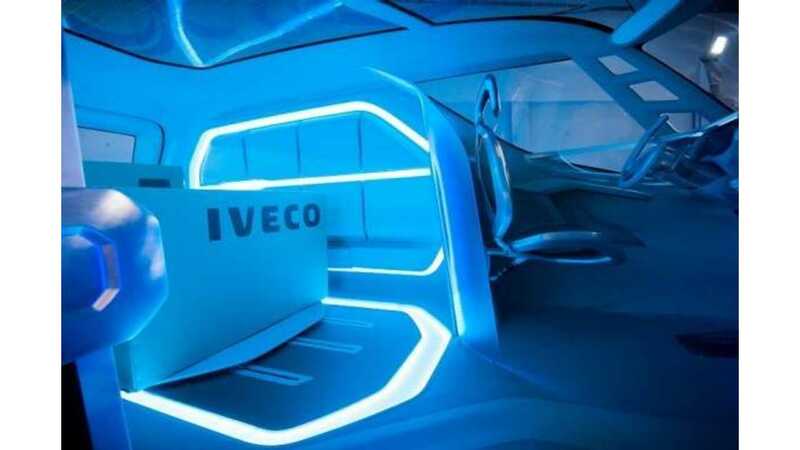 "The innovation which characterises Iveco Vision starts with the Dual Energy system, a technology which allows for the use of two different types of traction – one is exclusively electric, ensuring zero local emissions and low noise levels, and the other is hybrid (thermoelectric) and suitable for longer journeys and for extra-urban missions, reducing consumption and CO2 emissions by up to 25%." "In this architecture, a specific transfer unit couples the electric motor with the transmission shafts enabling to have an hybrid that is also an adaptive traction system with real-time energy management. 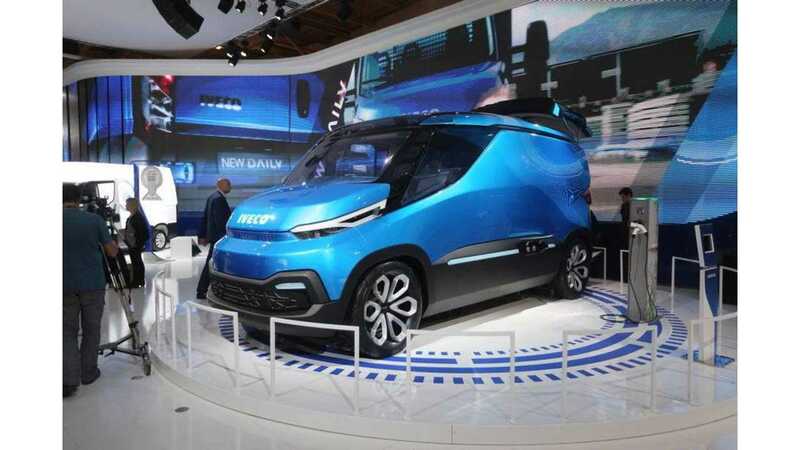 Based on mission-related elements, the vehicle self-adapts to the most suitable traction: the hybrid mode improves commercial speed and autonomy range on intercity routes; while the electric mode allows unrestricted, no-emission mobility in metropolitan areas." 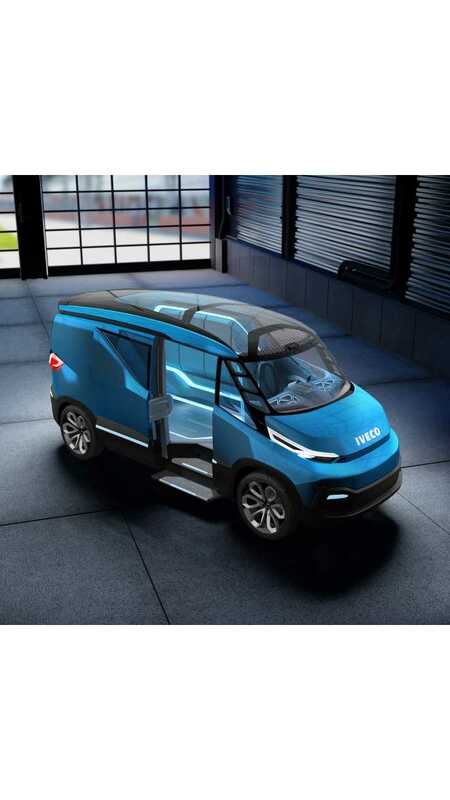 "As a natural evolution of the “Dual Energy” project, Iveco has redesigned the frame, body, interior and user interface: the result is Iveco Vision, a commercial vehicle concept ideal for door-to-door delivery missions." Some of the cool things we see in Vision are semi-transparent front pillars and rear camera sights displayed on a panoramic screen on top of the windshield. Iveco included an automated load management system to protect valuable goods from damage and to improve space management - "a series of sensors which identify the goods and then indicate the correct positioning of these within the vehicle interior, triggering containment devices which prevent the movement of larger packages". There is also a new adaptive Human/Machine Interface in the form of "high-integration tablet, which communicates with the on-board electronics". 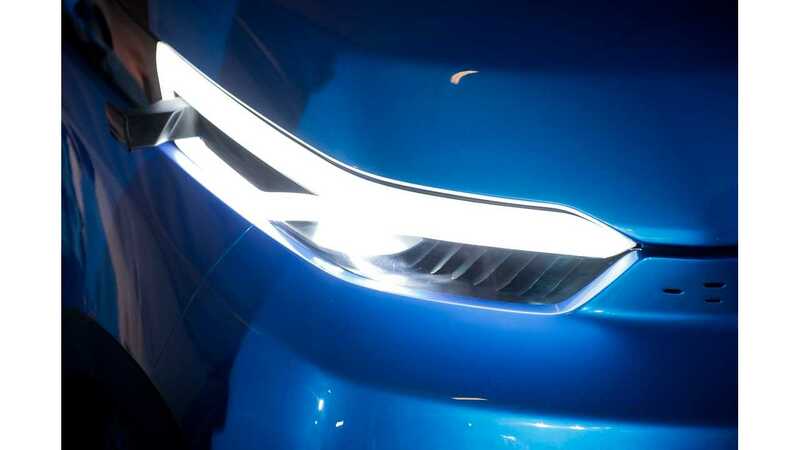 A lot of LED lights can be spotted here and there, including headlights.